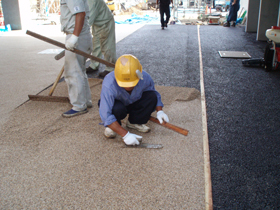 The COLORPHALT TO construction method is natural stone gravel permeable paving for pedestrians. 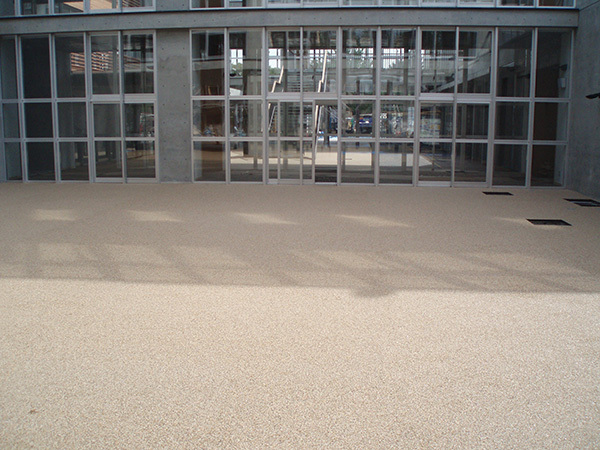 The COLORPHALT TO construction method uses the “COLORPHALT TO” epoxy resin, which is a resin bonding material, and various types of natural stone gravels. Has an outstanding adhesive ability with concrete paving and asphalt paving. Because it has permeability, there will be no puddles even when it rains. Because natural stone is used, a natural feeling is created.